NEW YORK (Reuters) - Apple Inc has asked the U.S. Supreme Court to overturn an appellate court decision that found the iPad maker conspired with five publishers to increase e-book prices. 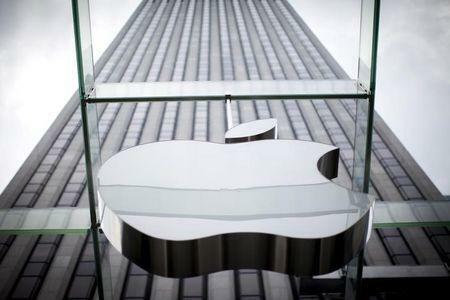 Apple asked the high court on Wednesday to review a June ruling that favored the U.S. Department of Justice, and found the company liable for engaging in a conspiracy that violated federal antitrust laws. If upheld, the decision would also force Apple to pay consumers $450 million under a 2014 settlement with 33 state attorneys general and consumers that was contingent on the company's civil liability being upheld. Apple in its petition said the June decision by the 2nd U.S. Circuit Court of Appeals in New York contradicted Supreme Court precedent and would "chill innovation and risktaking." "The Second Circuit's decision will harm competition and the national economy," Apple wrote. The Justice Department declined to comment on Thursday. The 2nd Circuit's ruling followed a July 2013 decision by U.S. District Judge Denise Cote after a non-jury trial that Apple played a "central role" in a conspiracy with publishers to eliminate retail price competition and raise e-book prices. The Justice Department said the scheme caused some e-book prices to rise to $12.99 or $14.99 from the $9.99 price charged by market leader Amazon.com Inc.
Publishers that the Justice Department said conspired with Apple include Lagardere SCA's Hachette Book Group Inc, News Corp's HarperCollins Publishers LLC, Penguin Group Inc, CBS Corp's Simon & Schuster Inc and Verlagsgruppe Georg von Holtzbrinck GmbH's Macmillan.